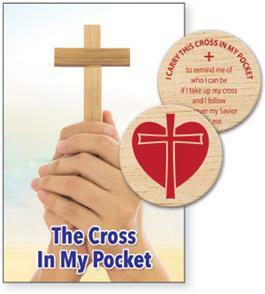 The Cross in My Pocket - Wooden Pocket Reminder with Holy Card By David Mead. See "Image Tab" below to view back of prayer card. Each time you reach into your pocket or purse you'll find a reminder Christ's love and sacrifice. This simple wooden medallion, marked with a cross and a short poem, is a perfect daily reminder for Lent or any time of the year. Size 1.5 inch diam. Comes with Prayer Card - see "Image" tab below to view prayer card. Sold in groups of 25. 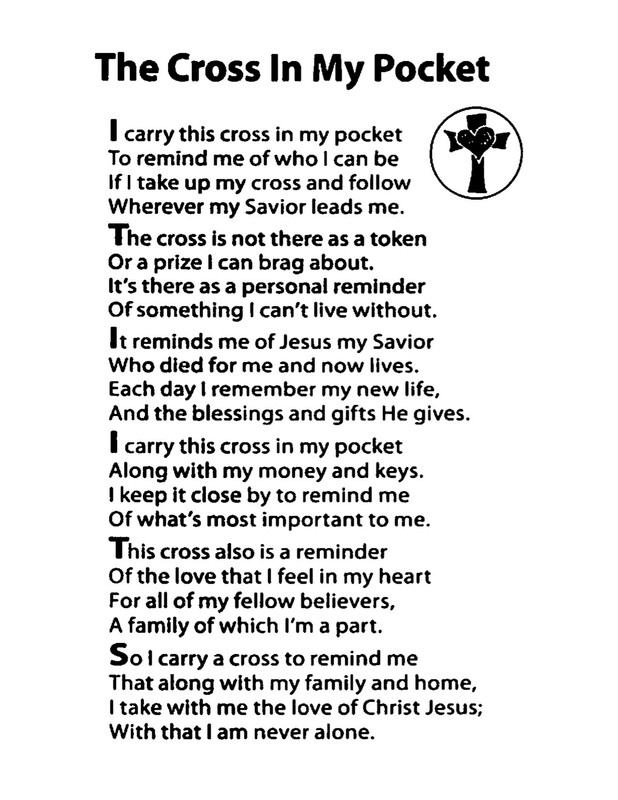 Ideal to coordinate with sermon and bulletin; print a verse of the poem in the bulletin or parish newsletter each week. Perfect to put in your pocket or wallet as a daily prayer reminder. This gift item makes a great inexpensive giveaway for churches, schools and religious organizations for your volunteers, students, parishioners and committees.